The medicines regulator, the MHRA, has been conducting a project to review UK medicines legislation. It hopes to consolidate the hundreds of separate pieces of legislation that currently exist, to make it easier to understand and enforce. This will be delegated legislation, and as such, will be made by the regulator as an executive authority. The MHRA have been consulting for many months and hope for the new regime to come into force this Summer. However, before it can do, Parliament will have a chance for some scrutiny through its Joint Committee on Statutory Instruments. And homeopaths have gone into panic mode as they believe this new regime will make things very difficult for them. The Medicines Act is being simplified, which is a good thing because much duplication is being removed. However, as a result there are some key elements which could adversely affect your access to homeopathic medicines if the proposals go into force. To get any unlicensed homeopathic medicine a face-to-face consultation would be required at a registered pharmacy. Unlicensed medicines number in the thousands and make up the majority of homeopathic prescriptions, while there are only 50 licenced homeopathic medicines. This will also mean you cannot legally buy unlicensed homeopathic medicines online or over the phone as you currently do. Hundreds of thousands of people who currently have prescriptions filled for unlicensed homeopathic medicines will be unable to obtain their urgent medicines. The estimated 6 million users of homeopathy in Britain cannot be expected to be supplied medicines face-to-face by less than five licenced premises. What you can do to stop this from happening! Write to your MP and tell him or her – especially if your MP sits on the Joint Committee on Statutory Instruments or is involved with Health. We are not asking to move mountains. All that needs to be done is a small change to paragraph 195 of the proposed new Medicines Act to allow greater freedom to dispense remedies to practitioners and could also overcome the face-to-face issue which is unworkable. On the next page you will find a few helpful bullets and links to assist you in contacting your MP on this issue. The new Medicines Act will be put before the Joint Committee on Statutory Instruments for approval in late May/early June for implementation in July, so your swift action is critical! It is not necessary or recommended to include all the text suggested here. It is critical that you personalise your letter with your own views and experiences. Overall, try to keep the letter short (a page or less), and emphasise any points that are relevant to the particular MP. I’m deeply concerned a draft proposal set out by the MHRA as part of its consolidation and review of the Medicines Act 1968 could have a significant impact on my ability as a patient to access homeopathic medicines in the UK. In its current form section 10 of the proposal would only allow unlicensed homeopathic medicines to be bought directly from a pharmacist face-to-face, in effect outlawing the purchase of these medicines over the telephone or via online ordering. This would mean I would be deprived of the medicines that I have found to be so beneficial to my health. There are only five homeopathic pharmacies in the UK, so most homeopathic medicines are ordered from these specialist pharmacies either by phone or via the Internet. Therefore the enforcement of section 10 in its current form will have serious consequences for the six million people in the UK who choose to use this form of complementary medicine. If not revised the proposal would also have serious consequences for more than 2,000 homeopathic practitioners, many of whom would find it impossible to treat patients like myself because they can no longer obtain the appropriate homeopathic medicine. I understand that a central plank of government health policy is to increase patient choice. Section 10 will eliminate choice for people like me who want to be treated with homeopathy. I would like to call on your support in getting the Health Minister to revise slightly the proposed language of the revised Medicines Act to ensure that I have continued access to a full range of homeopathic medicines and my right to choose homeopathic treatment is maintained. So, why are Ainsworths so concerned? One might naively think they would be in a near monopoly position of dispensing the vast majority of homeopathic products. The concern is of course is that their business model will be severely disrupted. There are a handful of companies that provide homeopathic products in the UK. The biggest names, like Nelsons, tend to concentrate on the High Brand products like Rescue Remedies and Bach Flower Remedies and sell a handful of homeopathic products into stores like Boots. The legislation presented here is unlikely to affect them a their model is a direct to consumer mode. Ainsworths supply lay homeopaths however. They provide the full range of mad-as-a-box-of-homeopaths remedies, from Dolphin Sonar, Shipwreck and Light from Venus. Check out their site, if you don’t believe me. It is these unlicensed sugar pills (for that is all they are) that they will not be able to dispense through their normal distribution channels. For lay homeopaths, access to the full range of homeopathic remedies (and not just the handful of licenses ones) is essential for their practice. Their cult beliefs are that the exact remedy must be selected for a patient in order for it to work. If they cannot get hold of homeopathic Sheep Dip, Washing Powder (Persil Automatic), Fossil Trilobites, Berlin Wall and Raccoon Hair, then they cannot be homeopaths. There is a bit of me that would lament the cultural loss from our society of being unable to buy ultradiluted Map, Marzipan and Mastitis. Or even Viagra, Violin Bow Resin and Vodka. They are constant reminders of the infinite folly that humans can so easily fall prey to. And there is another bit of me that is amazed that our regulatory authorities even entertain talking time to regulate homeopathic sugar pills as if they are medicines. They produce guidelines, licenses and regulations and have committees discussing the medical safety of sugar pills. It’s a pantomime that does nothing to address the harms posed by homeopaths by their bizarre and antagonistic beliefs about mainstream healthcare. It merely dresses homeopaths in the garments of respectability and in doing so, hides the safety concerns that really do need addressing of having untrained and deluded conspiracy theorists pretending they can provide primary care for the unwell. But EU regulation insists our laws treat homeopathic products as medicines. And our government is unlikely to seek an exemption in this area. They need their exemptions for bankers. On some reflection, maybe a massive restriction of the supply of homeopathic products is the best way forward. Homeopaths will still exist. People will be free to choose homeopathy is they so wish, but it will no longer really be able to exist ‘above the line’. Many homeopaths may try to make the remedies themselves using ‘Remedy Machines’ – fraudulent devices sold to homeopaths where you ‘dial in a code’ and place ‘blank’ sugar pills in the machine and then out come your Canis Testes or Hyena Saliva. Although, I suspect, this will still be illegal as under EU law, these remedies cannot be classed as homeopathic and nor can a homeopath legally dispense them. But all of this depends of course if the MHRA are prepared to uphold their regulations. And, on current form, that is not a forgone conclusion. Only last week, I was able to take a screenshot of Ainsworths promoting sugar pills for the treatment of a notifiable disease – measles. If Ainsworths are capable right now of casually ignoring patient wellbeing and medicines regulation without fear of the MHRA prosecuting, then there is no reason to suppose they will change after the new regime comes into force. This is a business out of control. It is making dangerously irresponsible claims about medicinal products and does not appear to care whether it has the right licenses to sell and make those claims. 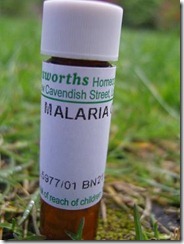 But Ainsworths has Royal Warrants from Prince Charles and Ainsworths is undoubtedly his favourite pharmacy. Charles has been lobbying the MHRA over homeopathy legislation. And his influence will undoubtedly still be felt now. The MHRA have systematically ignored the wide-scale abuse of legislation carried out by homeopaths. 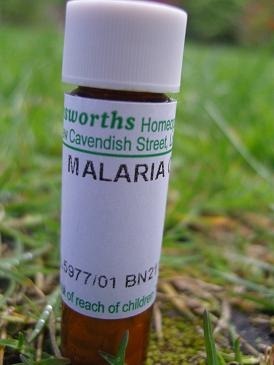 From selling anti-malaria pills to ignoring labeling requirements, homeopaths have not had to fear from regulation. Homeopaths exist in an ethical and legal vacuum. Why they should be so tizzy right now is not clear to me. The Committee on Statutory Instruments has at least one member who has previously spoken out strongly in favour of homeopathy. That member’s influence may still be influential. With such lobbying, and friends in high places, it is anyone’s guess what will happen to this legislations. But I would bet the final outcome has more to do with protecting business, special interests and future gongs than patient safety. Why Does the MHRA Not Close Down these Homeopaths? Do you think we should send a letter to MPs to support the provisions of the Act making the same points as you set out in this article? I think contacting MPs is probably a waste of time. This will not go through a formal parliamentary stage in the commons. The Joint Committee on Statutory Instruments may be a different matter – and there is at least one clear believer in all things woo on there. My problem is – what would I recommend? I have a fundamental issue with legislating medicinal nonsense. No matter what you propose, it always reduces to absurdity. I both love and abhor their use of the term “urgent medicines” when describing homeopathy. The idea that *anyone* sees homeopathy as “urgent medicines” suggests they are misguided, a fool, a con-artist, or all of the above. Oh, Ryan! I agree about ‘urgent medicines’. I wanted to point out all the work Warhelmet has done with MRHA. As you point out, in those times when I chose superstition over rationale, in the absence of the ‘real’ thing, I would have made the remedy up on my machine. With the weasel-thinking that is taught in college, if I wasn’t allowed to dispense remedies, then the client would pay for the visit and I would ‘give’ a free sample of the rememdy/ies at the end of the interview. I think you’ll find dispensing is a transaction. A big advantage to me would be that I would feel like a real health-fighter for side-stepping the law in that way. Homeopathy is excellent for the ego and the whole thing would leave one feeling soooo… clever. I think it’s good if law is applied and used. This is a group that thinks they live above any law and I and my class were taught in College to think our way around it. I, like you, think the ideal is not to include homeopathic remedies as medicines, but in terms of informing the public, at this stage, I feel it might remove an arena where the efficacy and other issues can be repeatedly raised. It may be necessary to raise them for some time. Surely it is more beneficial to have places to raise the questions about homeopathy more often and maybe MHRA is such an arena. I wrote to my MP urging him to support the MHRA. As a good Tory he must surely be opposed to government tinkering with the work of delegated authorities. Oink, flap, oink, flap. The legislation is be consolidated. Having read some of the consultation documents, there are some provisions from some Statutory Instruments that may not be included in the consolidated legislation but there will be no new provisions per se. Ainsworths are bending the truth when they state that the new regime will bring about these supposed changes. What they describe is the current status of legislation and regulation. The Medicines Act 1968 already places severe limits on the supply of unregistered homeopathic medicines to the public (including lay homeopaths). I believe that the numerous consultations with the MHRA regarding homeopathic medicines, complaints made to statutory regulators, etc should mean that Ainsworths should be well acquainted with the implications of current legislation. 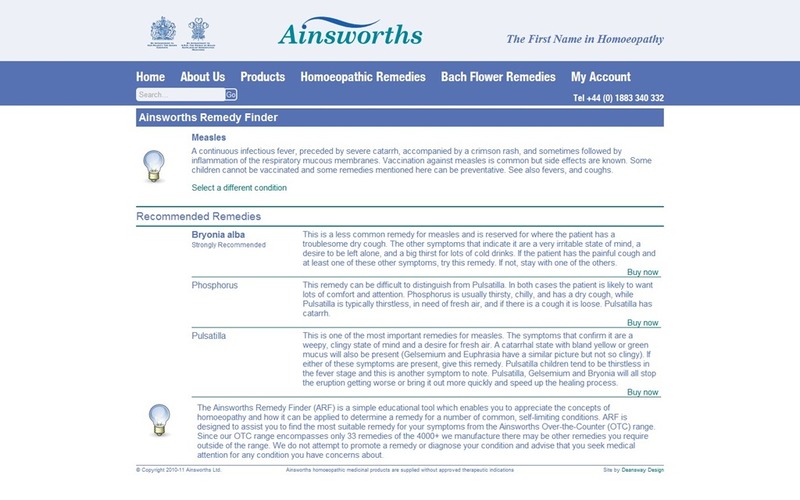 Ainsworths and the other homeopathic pharmacies have made a rod for their own backs by failing to register the majority of their remedies with the MHRA. They have also sown the seeds for the decimation of lay homeopathy. An excellent point. It would appear that the homeopaths are trying to squeeze extra entitlements that they never had. I think the homeopaths have seriously misunderstood the proposals and the current law! Ah! Beaten too it by the inimitable warhelmet! I cant see Tory MPs taking flak from their thousands of homeopathic supporting constituents over this. Unless a risk to public health can be proved over the last 40 years then it will probably end up as business as usual for the homeopathic pharmacies. Looks like these regulations could be easily changed if Tory MPs want this. Why would this government risk upsetting potentially 10% of its supporters to appease a skeptic lobby where not one person would ever vote for them. Better off carrying on with the 10^23 there is nothing in it argument. Please…Do not assume no sceptic would vote Conservative. A somewhat prejudiced view of those who do. Scepticism, even skepticism, should be apolitical. When I stood for parliament (Sucessfully. I was not elected!) I was an Independent. But I most recently voted for Dr Sarah Wollaston (Totnes) who was a student at Guy’s when I was a Senior Registrar. She is sceptical about woo, but as a caring doctor, has to try and appease patients. And MPs do have to go with the flow in spite of their scepticism. Hypocritical? More like, “Realistic”. Morally corrupt? Yes. T’was ever thus. Well there might be one or two somewhere who havent been pointed in the right direction. I dont think though that I will be reading on this blog many posts from dozens of Langsley supporting Tory voting skeptics who back you up on this. I do not support Langsley. In many respects I am a Tory. I hope Mr Quack agrees with me that scepticism crosses all boundaries, and that it is unhelpful to use his blog for overtly party political discourse. 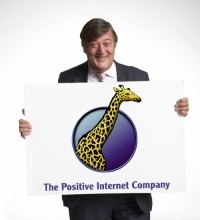 There are plenty of other sites where you can vent your anti-tory spleen. Your assertion that you know which is the “right direction” is as arrogant as the homeopath who “knows” it works. So, please…..
I’m an Aussie sceptic and voted conservative for years (our Liberals are the equivalent of your Tories and are often called such). I’m really more central than “right” though. Meanwhile, our Greens are quite far to the left and seemingly support woo-med. While I easily agree that there is no active substance in homeopathic “drugs” and that their effect is all placebo, I want to point out that matters are a bit more complicated. Homeopaths usually deliver compassionate care with common-sense lifestyle advice. Compassion, lifestyle advice, placebo effect and the absence of conventional drugs will often improve dramatically chronic diseases, brought on by bad lifestyle. I would not throw that part of homeopathic care out of the window. Where they lose me: If they tout their non-effective drugs against AIDS, malaria, and so on; that practice is criminal. But we should know that conventional medical care has many shortcomings, too: Driven by drugs and procedure, they not always mean well with the individual patient. Homeopaths usually deliver compassionate care with common-sense lifestyle advice. So does my GP. But without the pseudo science and mumbo jumbo. Like advising parents not to vaccinate children? Selling expensive nutritional supplements that are not required with a balanced diet? Strongly implying that “dis-ease” is the result of moral failure? P.S. And I forgot: cheap: Homeopathy is cheap self-care. As long as people still go a conventional physician when things don’t clear up readily. compassionate, hah! Run down the list of “ingredients” on the Ainsworth site – mammary gland, pig bowel oedema – more scrifice of the defenceless in favour of the credulous. Where’s the compassion for the “ingredients”? A recently published study carried out at the Bristol Homeopathic Hospital found that treating children with asthma with homoeopathy cost £615 more per patient for no improvement. So, rather than get a condition treated cheaply at the early stages, the patient faffs about with alternative medicine until it’s much more advanced and then costs a fortune to treat conventionally. The patient loses out, the tax payer loses out, the quacks laugh all the way to the bank. Any condition in early stages would not get referred to a homeopathic outpatients clinic which is what a homeopathic hospital is by a GP. Rest assured that all patients treated at these clinics have done the rounds. Some patients may be worried well, some may have undiagnosed conditions after all the tests. Some will have clear physical things wrong eg eczema that isnt responding well to treatment. Fact is that all would have had everything their GP could offer. You might say that this is no justification for homeopathy but the point remains that these patients have already cost the NHS a lot of money in unsucessful treatments. The choice is to send them to homeopathy or to send them off on more repetition of previously unsucessful tretaments. It is a little bit more complicated than that. Given that many PCTs do not commission services from the homeopathic out-patients clinics, a patient has to go through a complex and expensive appeals process to gain NHS funding. My gut feel is those that want homeopathic treatment on the NHS are sufficiently affluent to pay for it privately. But of course, not of this justifies spending public money on treating people with pseudoscientific baloney just because it aggrandises a few thoroughly deluded (or dishonest) doctors. Sitting in a cardboard box is cheaper, even if you have to go out and buy a box big enough to sit in. So, next time someone you love gets heart disease, tell them (compassionately) to just sit in a box for a while and if it doesn’t clear up, go and see a doctor. Wow, you can even get homeopathic spam. The world are ahead of you !!!!!! Well that is yet tension that society must balance between the benefits of effective drugs and their risks. RBS us different from homeopath where there are no specific benefits and serious risks from people taking them instead of effective therapies. My families health and millions of other people. A couple of hundered years ago, millions of people who had personal experience of them thought that treatments like bloodletting, purging, and large doses of mercury, which had been used for hundreds of years, were effective treatments. Were they correct? Maria – let’s say I have some cold and flu like symptoms and I take homeopathy. 1) I had a mild cold that cleared up quickly. Let’s now say the cold drags on a bit, how do I know which is true? 1) I have not individualized my remedy sufficiently. Try again and go back to first question. 2) Homeopath is subtle and takes some time to work. 3) Homeopathy does not work. If you can answer these questions adequately, then ‘trying it’ might be a good idea. If not, then it looks like a good way of fooling yourself. That a GP told me to live with as the freezing did nothing . Mind especially when it involves health. Nobody has suggested this; the cold was only being used as an example (although it is the sort of condition that homoeopathy can appear to get good results for as it will generally get betteer of its own accord in a couple of days). What is suggested is using properly conducted trials rather than anecdotes. Maria – you asked me to try homeopathy so that I might be convinced. I asked you how I might know it actually worked and you have not replied. Instead, you give me anecdotes. Which is supposed to be the most compelling: a personal experiment, or your anecdotes? Perhaps if you stand by your request for me to just try homeopathy, you could answer the questions I posed above. In short, how would I know the homeopathy was having an effect and that I was not just experiencing the natural course of the illness? And to repeat my question: in Hahnemann’s time, treatments like bloodletting and purging had been in routine use for hundreds of years, and millions of people and thousands of doctors knew, from their own experience, that these treatments worked. Were they correct? Maria seems to be another homeopath who is keen to repeated (foolish) platitudes, but will not answer a straight question. Maria – do you want to try once again to answer the question? How do you know homeopathy works? How would I know if I tried it? Bother you so much. Shame on you! Sorry, Maria, but your opinions on the subject are worthless and are no more valid because you have been sold sugar pills for 15 years. If you dared to answer Mojo’s question you would find out why I an correct to make that unequivocal statement. But you won’t. So you shan’t. Just another silly homeopathy fan-girl who is very keen to tell us her views but deeply reluctant to do any thinking. Why have a brain if you refuse to use it? Maria, I am beginning to think your posts are meant to be read as satirical poetry. Starting every line with a capital letter is suggestive. Maria is probably trying to hide a secret message. We use to think it was a great laugh. Very bored individuals on this site. You never made a case in the first place. Bored by your failure to answer Mojo’s question. It never ceases to amaze me just how scared you people are of doing any thinking for yourselves. up to now you have nowhere to go on this subject. If I look up at the sky, my “personal findings” are that the Sun goes round the Earth. So Maria, I have it on your authority that this is therefore the truth. Because I have experienced it. personally. There science! Take that! You are all wrong as my personal experience, even though I can very easily be fooled, and tend to see patterns where there are none, and even though I have a tendency to favour findings that make me feel special and put me at the centre, trumps all your sterile and impersonal measurements! Say I’m wrong do you? Have you even looked up at the sky? Can’t you see? I have looked at the sky; I have seen the irrefutable evidence with my own eyes; who would stand before me and deny that! In fact, as I can see the Sun going round and round the Earth, and the evidence is so obvious, anyone who disagrees must be an evil shill in the pay of the heliocentric model. I will not listen to their lies and, instead shout my truths, which are so obviously true! Ha, you all lose, cos I know what I can see and you can never tell me otherwise! Maria. Listen to yourself. Please. Please answer the question I have posed to you several times so that we might become less ignorant. How would we know homeopathy had worked? Who was among the first to call this wrong? Incidentally, this WAS THE scientific medical system of that time. So are the answers found yet or you still continue to weigh the risk and reward ratio? Remember this is 2012. Incidentally it took 90 years after the spanish flu for doctors to confirm what the homeopath doctors observed in 1921: Stop aspirin and save people. Maria – I am not sure whether you are deliberately avoiding the question, or have some sort of mental block. 1) I was going to get better anyway. Since most ailments to get better anyway, or at least their symptoms tend to wax and wain, this is a very important question. I need to know the answer to this before I go. How do you do it? Homeopathy makes her happy. Not the sugar pills – the nice quiet time with a caring empathic practitioner. So Maria, I suggest you continue to see your practitioner, but save your money and do not trouble to buy sugar pills. I think we have just uncovered a female Iqbal, or a FFE as I prefer to think of her. Will – surely the sun does go around the flat earth we live on. It must do as we would otherwise fly off or fall off the bottom bit. I am on your side here. Obvious innit. Much as i, like, respect wot yer saying and yer point ov view it ain’t nuffink to do wiv relativity. My uncle, bruvver and sister live in Orstrylier and they ain’t fallen ov the erf yet or blown orf in the wind. Urgo the erf is flat and ain’t going noware froo space. Stands to reeson doan it. Also, I’m sure the ASA would be very interested to read your http://www.frogleaf.co.uk website. Especially when you consider that some commercial samples of grape seed extract have been found to contain up to 22% benzalkonium chloride. How much do yours contain? If you say none, and as it has been shown that pure grape seed extract has no antimicrobial properties whatsoever, how can you make such a claim (anti-fungal etc.) for your products? Benzalkonium chloride is known to be toxic and gives people allergic reactions. Do you warn your customers of this? Why are you changing the subject so suddenly. And does it contain benzalkonium chloride? Yes or no. If no, how is the cream biocidal? If yes, isn’t that using a “chemical drug” as you call it? The Willows Complementary Centre website lists homoeopathy under it’s treatments, and links to the frogleaf site if you want to buy homoeopathic products. Most of the testimonials on the frogleaf site mention the ‘homoeopathic’ creams. But the rest of the site, including ‘home’, ‘about’ and ‘products’ make no mention of homoeopathy. Also, the ingredient lists for the creams make no mention of homoeopathic ingredients, dilutions etc. So what’s that all about? Are they homoeopathic or not? Also, the “Eczema Skin Cream” is described as having “antibacterial ingredients”. I’m guessing that the eucalyptus oil is the antibacterial component. Eucalyptus oil is mostly a chemical called eucalyptol, or 1,3,3-trimethyl- 2-oxabicyclo[2,2,2]octane. This is widely known as an antibacterial chemical, yes. But how does that fit with the statement “CHEMICAL-FREE SKIN CARE YOU CAN TRUST”? Also, what does that have to do with homoeopathy? Homoeopathy IS NOT herbal medicine. Just to update you on this citricidal is purchased from a reputable supplier and this is only used in very small quantities within our creams. Just to clear that up with you. Would you mind giving me your opinion on something? Do you think that this applies to your website? How exactly is a 2.5% solution of hydrogen peroxide “chemical free”? Perhaps we’d be more inclined to try your ‘treatments’ if it wasn’t for the fact that, at even the most casual examination, it appears that you don’t have the first clue what you are talking about. Saying get back to me with your results I have told you all about mine. Why is this so hard to get through to you people, your arguments mean nothing to me. Just to add I have not needed a chemical drug in 15 years how many do you rely on? For 150 years we have known that the biggest mistake anyone in medicine can make is to think that because we got better it was because of the treatment. There are many ineffective treatments from the past and present. But all had people who believed they worked. Blood letting, mercury, an endless list. Yesterday, I had hayfever. Today I do not. I took no medications. If I had taken homeopathy, should I think the homeopathy worked? Maria – you link to frogleaf in your sign on. This has links with Willows Complementary Centre. Would you like to reconsider your assertion that you are just a user of homeopathy. What vested interests do you have in complementary medicine? Yes we have a link to them. But this does’nt change my personal argument. But it is clearly misleading to suggest your only interest is that you have been a user for a number of years. Their homeopathy page links to yours as a supplier. I only point this out because you refuse to engage meaningfully, do not answer simple questions and just promote homeopathy. It’s called shilling. Willows supply for us yes are you trying to Move into accusations now? Wow. You steadfastly refuse to engage on questions about how we might know homeopathy works. But get twitchy when it is pointed out that you have vested interests that you withheld. Is there a reason you refuse to answer the simple question about how I might know my trip to the homeopath had worked? Is it because you do not have an answer and so pretend the question does not exist? What do they supply you with – customers? Ignorant prejudice dressed up as informed opinion. Well that is what we were thinking. Any answers to the questions? Let me know how you get on with your homeopath ? Maria, your replies so far have been the internet equivalent of sticking your fingers into your ears and singing “la-la-la”. What’s ignorant about asking you to explain why your personal “experience” is a better indicator of efficacy than the personal “experience” of medieval barber surgeons who thought bloodletting and cupping were effective treatments? Oh dear. I thought this site supported people’s opinions, I am still standing by my own experience with a popular form of medicine and I dont suppose any of you will try anything other than conventional treatment . Yes – I do seek people’s opinions. And I have been repeatedly asking your opinion on how I might know if homeopathy worked or I just got better. You refuse to give me your opinion on this matter. The best explanation I can come up with is that you have just not ever thought this through. And this threatens you. So, you bluster. I see this regularly from homeopaths and their supporters on this site. Well please give it a go at some point in your life. I am a credible patient with a healthy family. Homeopathic treatment will never lose as as there are too many supporters. I ask your readers to buy the book mirander Castro mother and child in homeopathy this book was a great support to me. I hope I have opened your mind in some way Evan if you don’t want to understand it. There you go. Sorted that out for you. But you are not just a patient. You have financial interests in this area. And you will not answer a straight question with an honest answer. By the way, I’m with Will on this. I have strong personal experience that the Sun goes round the Earth. And you say personal experience is infallible so we must be right. If you disagree with us you are just shilling for NASA. I see Will has not grown up. He continues to repeat the same cliche over and over again. Now you have joined him. Good hunting for your pack. …..Well please give it a go at some point in your life. I am a credible patient with a healthy family. Homeopathic treatment will never lose as as there are too many supporters…..
You can be sure then they are in serious personal trouble, they will go to any alternative thearpy available. But then come and say so? You must be joking. Other than Badly Shaved Monkey! His wife did so with good results. May be he will next time. Others will follow. They will get well and then come and discuss the anecdote/s? I thought this was about my experience with homeopathy. Why are you changing the subject so suddenly. Please try to answer it. In Hahnemann’s time, treatments like bloodletting and purging had been in routine use for hundreds of years, and millions of people and thousands of doctors knew, from their own personal experience, that these treatments worked. Never been to a GP? You absolutely sure about that? I find that difficult to believe. For example, Nadia Sawalha said something similar in one place only to contradict herself later. The question of the ethics of treating children with homeopathy as primary care is very, very difficult. One element of the definition of neglect is denying a child appropriate medical treatment. UK law does not recognise homeopathy as medical treatment. When it comes to the vulnerable who are unable to give consent, a “very responsible” homeopath would not treat them. Hello? Maria, are you still out there? I do hope you’ve not gone off with Iqbal. You remember the paracetamol example? Something interesting for you to read and understand. An example of allopathic treatment would include elevating a sprained ankle and wrapping the afflicted area in ice in order to reduce swelling. Bandages may also be used to prevent use of the joints. Swelling, the symptom, is attacked instead of the injury itself. But homeopaths take the exact opposite approach. The swelling is the accepted as the body’s natural healing method. When tendons, ligaments and muscles are stressed extra blood rushes to the area to repair the damage. As ugly and frightening as a swollen ankle may look, it is what is necessary to heal the body properly. Efforts taken to reduce swelling increase healing time and cause long-term damage. Over the next few days a homeopath would recommend adding heat and light exercise to the sprained ankle to help increase blood flow, quite the opposite advice from the allopath. So what do you practise these days? Why are people worried, everyone has an almost free, infinite supply of homeopathic medicine in their own homes. Just have a glass of water. It wouldn’t have had the magic shaking. My pipes judder a bit – will that do. Not sure it does it ten times, though. Or against a leather-bound bible. Just remind me again….how many people die or are injured as a result of adverse drug reactions after taking prescribed drugs each year? Just remind me again…how many lives have been saved each year by conventional medicine, how many now are living longer and with a higher quality of life because of conventional medicine, how many babies survive birth because of conventional medicine and how many are suffering less and in less pain because of conventional medicine. And then give the same numbers for your favourite ‘alternative’ therapy. Just remind me again….I struggle with elementary/primary school arithmetic. I find it’s awfully easy to confuse absolute numbers and proportions. What is 0.1% of 1,000,000,000?